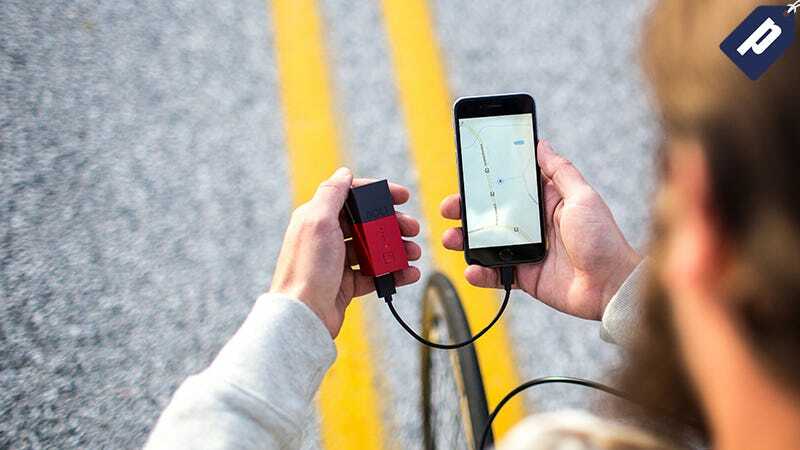 Fluxmob is offering Lifehacker readers 20% off Bolt, a pocket-sized combination wall charger and backup battery. Say goodbye to hunting for an outlet in public to conserve your phones battery. Use promo code Fall16 and get Bolt for just $40, or Bolt² for $64. Bolt was made to replace your old charger; plug it into the wall, connect it to your device, and both will automatically charge. Wherever you are, when your phone’s battery starts getting low just plug it directly into Bolt and watch your battery restore to 100%. Once charged, Bolt will automatically turn off. Bolt weighs just 3.1 oz and the wall plug folds directly into the device. From a wall outlet, Bolt can be fully charged in 3-4 hours. Press the power button to check the battery level via the LED lights. Bolt is your all-in-one battery and charger solution and is available in six colors: crimson, argon, graphite, pacific, tango, and stealth. Use promo code Fall16 and get Bolt for $40, or Bolt² for $64.